Press Windows Key + S and enter smart screen. Choose Change SmartScreen settings from the list of results. Go to Security section and locate Windows SmartScreen. 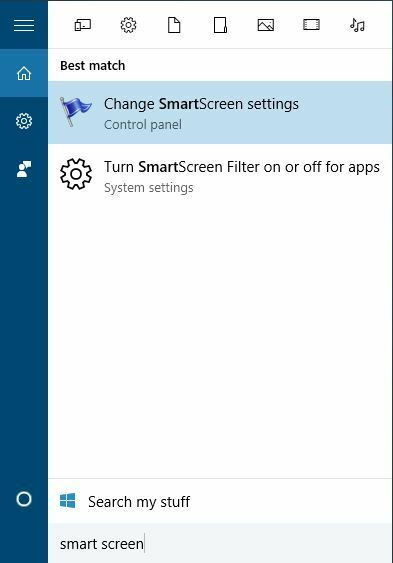 Click Change settings and select Do not do anything (turn off Windows SmartScreen). Click OK to save changes. Open Settings app and navigate to Update & Security section. 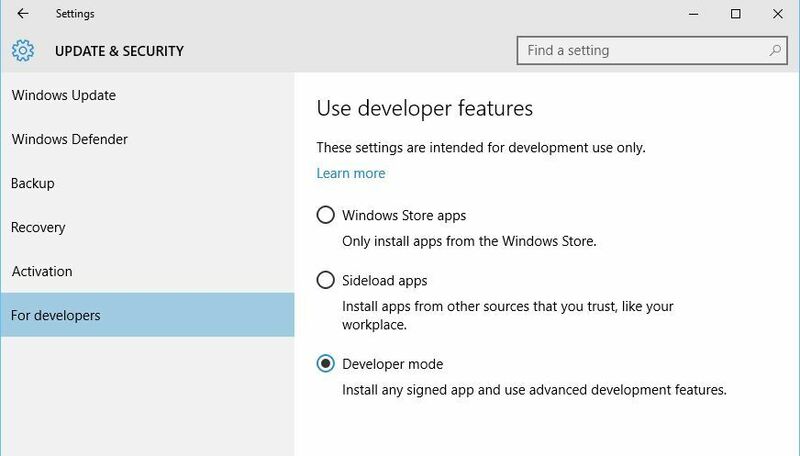 Go to For developers tab and under Use developer features select Developer mode.